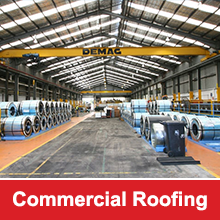 Choosing the right type of commercial roof for your business is crucial for ensuring the stability of the building’s structure as well as the safety of the occupants. Whether you are planning to replace an old roof or you are constructing a new building, a variety of factors will need to be considered in determining the best type of roof for your business. Among the factors that should be considered is the type of business in which you engage. It is also important to consider the shape and design of the building, local weather conditions, and any specific needs your business may require from a roofing system. Consulting with an experienced roofing contractor can ensure you choose the best type of commercial roof for your business needs. The built-up roof is one of the most traditional options for commercial buildings. This type of roof is specifically designed to protect flat and low slope commercial roofs. Comprised of several layers of fiberglass felts that have been coated with bituminous material, the built-up roof offers a long lasting solution that works to reduce environmental impact. Ethylene propylene diene monomer is a type of synthetic rubber frequently referred to as simply EPDM. This type of roof is also an appropriate solution for flat and low slope roofs. Perhaps the biggest advantage to this roofing solution is that it is able to capably withstand any type of temperature variation and climate. EPDM roofing systems are also highly resistant to surface damage while remaining flexible in cold weather. This type of roof system also offers the benefit of heat and high fire resistance, making it an ideal choice for areas that are prone to bushfires. An experienced and knowledgeable contractor will be required to install this type of roof. Thermoplastic Polyolefin is another common type of roofing material that is often used in commercial roofing system. A TPO roof offers a number of benefits, including easy maintenance, reliability, cost effectiveness, and adaptability. Additionally, TPO membranes are suitable for installation on practically any kind of roofing structure. 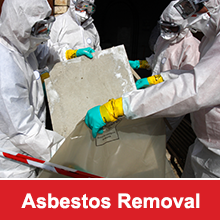 When installed properly, a TPO roof can withstand many years of use without need for repair. Modified Bitumen roofs is produced in a long roll and combines the advantages of a hot asphalt roofing system with more advanced polyester reinforcement roofing technology to produce a highly reliable roofing system. Metal roofs are becoming increasing popular in a number of industries to their affordability and ease of installation. A variety of different types of metals may be used in metal roofing, including stainless steel and galvanized steel. Along with being fireproof, metal roofing can also be treated to be resistant to rusting. In addition, in some instances, metal roofing may be installed directly over the old roofing material without the need to remove old shingles. Color-coated metal sheets, such as Colorbond® is also available to provide aesthetic appeal.